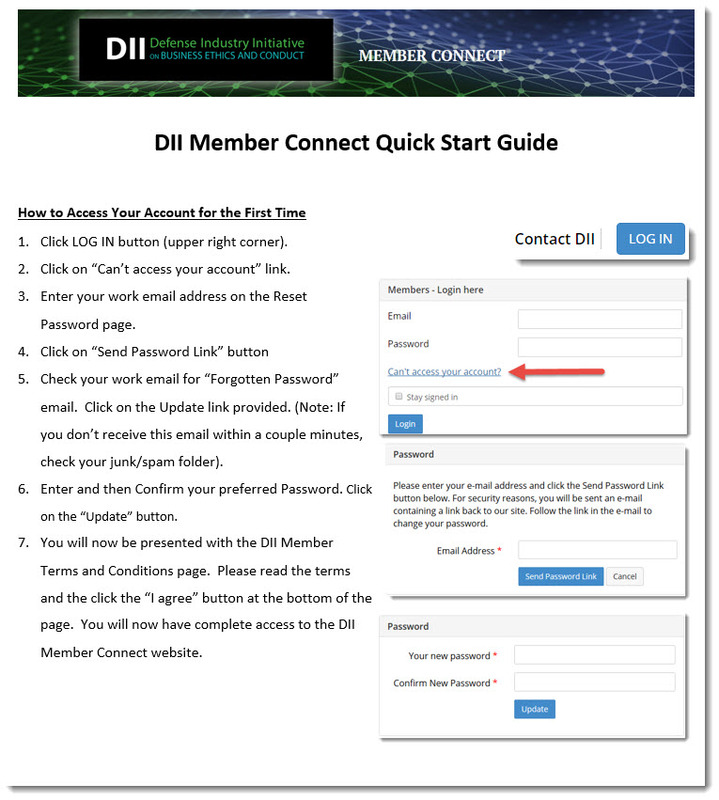 Member Connect is the exclusive, members-only community for DII members. You can collaborate with fellow DII members, share best practices and access valuable members-only resources. Click on the Quick Start Guide to learn how to access your account and all the benefits that come with it. This 254-page document provides guidance on how companies can design, implement, maintain and augment business ethics and compliance programs. This document provides a framework and the key elements required for creating and maintaining an effective business ethics & compliance program in companies involved with government contracting. This standardized document can be used to assist companies involved in government contracting with setting ethical expectations with suppliers. Can be used in whole as is or as a guide to develop a company’s own customized version.